dance.net - Purple Highland Jacket (10244286) - Read article: Ballet, Jazz, Modern, Hip Hop, Tap, Irish, Disco, Twirling, Cheer: Photos, Chat, Games, Jobs, Events! 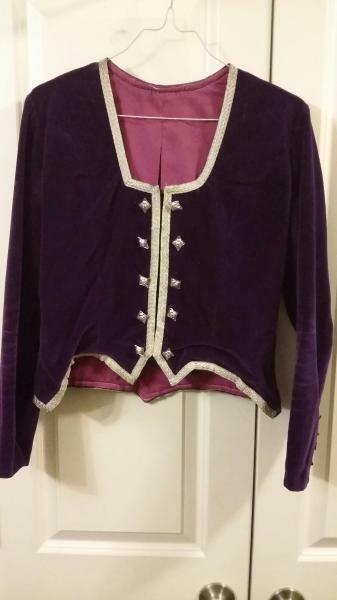 I have for sale a deep purple highland jacket. It was worn with a Dress Culloden kilt.